"Good location, basic and clean accommodation with great staf..."
Have a question for Ronta Bungalows? "In a really good location"
"The hotel is near to everything you need, and also near the beach." "Location is good for shopping, eating, or partying!" 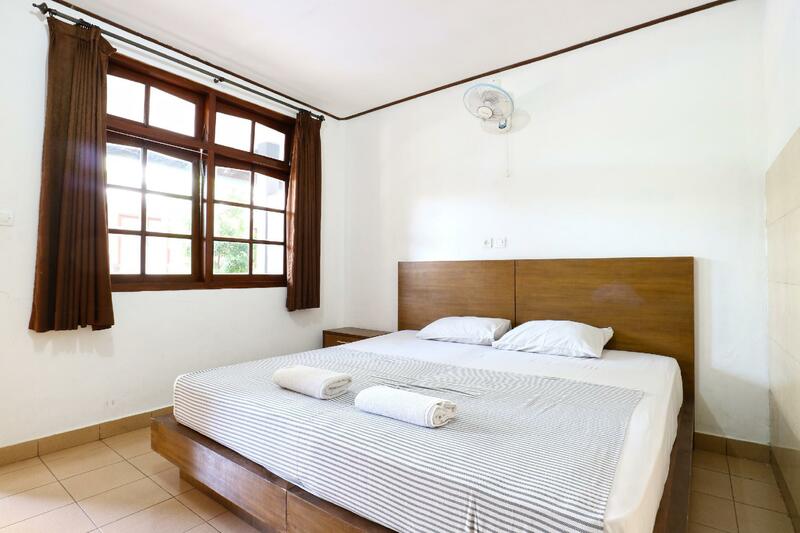 "The staff were nice and you can just sit in bean bag in fron..."
The Ronta Bungalows is in an excellent location from which to enjoy Bali and surrounding areas. The property is near Dunia Boutique, Ground Zero Monument, Beer&Co., Bali Bombing Memorial, and Universo Legian. With tours available, it is a great place to stay to learn about your surroundings and see everything you can during your stay. It offers a number of facilities for guests to make use of throughout their stay, such as a garden and an outdoor swimming pool. There's free Wi-Fi in all rooms, as well as Wi-Fi in common areas, ensuring that guests are able to contact their friends and family back home without overspending on foreign data charges. When you wake up, treat yourself to a free, delicious breakfast. The Ronta Bungalows has an around-the-clock front desk, so there will always be someone on call to assist with any questions that you have. Tegal Sari Bus Terminal is 7.3 km away and Bemo Gunung Agung Bus Terminal is 8.0 km away. The nearest airports are Ngurah Rai International Airport (DPS) and Lombok International Airport (LOP), which are 3.6 km and 119.8 km away. This property offers a 24-hour check in and check out service, enabling you to arrive at a time that is most convenient for you. "Perfect location and Nice staff"
We had a good stay here, the location of the hotel was good. We didn’t stay for breakfast so I cannot comment on this. The room and bathroom were clean and the pool area was nice. The only downside was the WiFi was basically non existent in our room. its so cheap for something so central. bars around the corner but quiet in my room. air conditioner was cold, room was clean, shower was hot. breakfast is the worst thing about this place and its entirely edible. staff at reception went above and beyond to help me. didn't get into the pool but it looked clean. The hotel is near to everything you need, and also near the beach. Not so ideal with female solo travelers though. I didnt feel safe to walk and explore more in the area but I think its good if you are with your friends. Staff are nice. Nice staff. Good breakfast. Pool ok. I had a standard room and everything was working properly and it was clean. I did not like that the fan was fixed and could get air only when in the bed. Shower cold water only (not so cold so it is ok), no bottle of water provided. Some guests are noisy and there are construction work on the other side of the street (september 2018). Same price for one or two people even with breakfast included. I move because I found a better value. The staff are really nice. We only stayed for a night cause we had to be near the airport to get a flight. The pool looks amazing but we didn't use it. It is centrally located in kuta, you can walk to the main street were all the restaurants are, even though it's close to the party area we didn't hear the music during the night. There is breakfast included: pancakes, toasts, jaffles, orange juice, tea or coffee. The room was nice and clean, but the bathroom wasn't properly cleaned. The bungalow devide by 2 building. The old and new one. 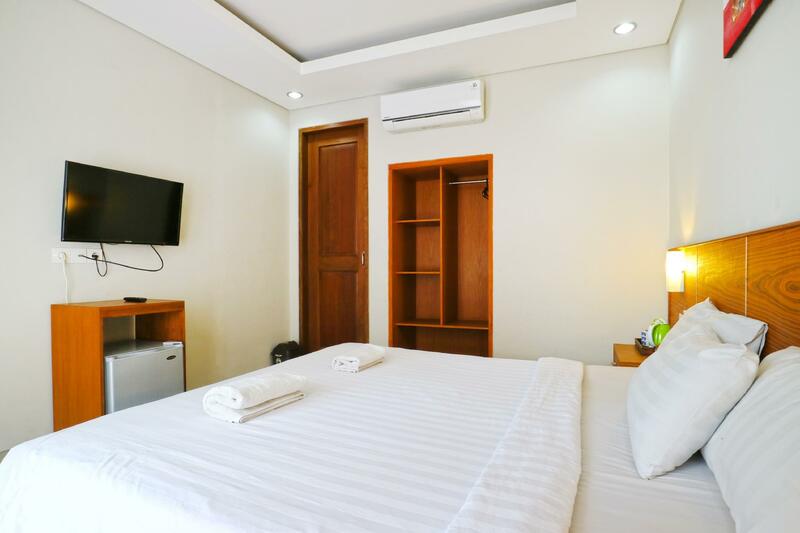 The location are very good which is only 5minutes walk to clubbing, 15minutes walk to Pantai Kuta, 5minutes walk to the place where people offer day trip tour, beside of 24hours convenience shop and Halal Food restaurant. The place are quiet busy because there has a lot club and noisy until 3-4am compare to other place which will start quiet on 11-12pm. Btw,to us,thats not too noisy. The staff very friendly and helpful. They entertain us with respect. The pool well maintance and cool. The bathroom quiet smelly and the shower water pressure are slow. But what do you expect to get 5stars facilities with cheap price? Everything good for us. The room are big. We are satisfy. Room with fan is too hot. No single hook in the bathroom - no place to hang your towel. If you see that they have just a few rooms left, probably those are twin rooms, not double, so you'll have no choice but to stay in a twin room. Money worth staying in this hotel. Beach and other main attraction are so near to this hotel. You can’t expect much better on such budget hotel. They have clean swimming pool too. It’s been a good little find! Good location, basic and clean accommodation with great staff! Just needs a safe in the room! Only negative issue were the local working girls drunk and fighting between themselves and other tourists, all part of the Kuta fun I spose! I’ve stayed here a few times now, and it’s lovely to get a nice friendly welcome! The room is basic and clean and it was nice to see a fridge in the room this time, it would be nice to see tea/coffee facilities in every room but was ok because very close to warung indonesia! Location is good for shopping, eating, or partying! The only negative is that there is no safe in the room. Great location, close to shops, bars, nightclubs. Staff friendly & helpful. Room clean on arrival however stay was 6 nights no cleaning of room daily, had to ask for fresh towels and toilet paper when required. Suggestion to hotel would be: A small fridge to rooms would be a great addition to the rooms. First, staff at check in can't find my booking and not understand online booking by Agoda. Then given room with lots of mosquitoes. The area is so narrow, the taxi refused to go in the poppy lane and i had to drag my big luggage 50 meter in. We stayed here one night. The location is great, right in the middle of Kuta, 2 mins away from Skybar and 10 minutes the beach. Staff were friendly and helpful, the pool was nice. The room was a decent size, it was two single beds pushed together. The only problem was the water in the bathroom from the shower and taps smelt like sulphur? So we really didn't want to use it as we felt it can't have been very clean. Breakfast was ok, it was a small pancake but was very greasy. However, for the cheap price we paid it was a decent stay. the facilities look much nicer online and are not as great in person. also the cleanliness is lacking and the power was out in the bungalow the entire day which was not convenient. the breakfast was less than satisfying. The first room we booked was the one with the fan. It was quite hot in the room! We booked the room with a double bed but instead it was two twin beds stuck together on a double bed frame. There wasn't any blankets, but you won't be needing any with the extremely hot weather!! We only had cold water for the shower. The room was decent for the price we paid. The second room we booked was with a/c. The difference in between both rooms was astonishing!! The a/c room was modern and very clean. The a/c worked very well. There was hot water for the shower. We had a balcony and the view on the pool was very nice. The pool is clean and refreshing! If you have breakfast at Ronta Bungalows, I recommend the pancake because it tasted better than the toast. I believe some of the locals rent rooms there and they can be somewhat noisy and take over the pool area. The staff at Ronta is quite helpful and very polite. We had a great stay with them!! 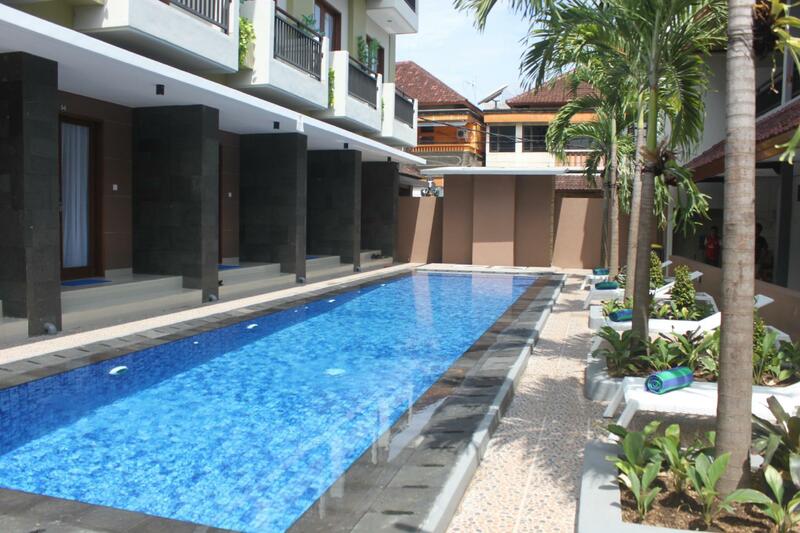 Located in prime location in Kuta. Lot of eateries and pubs nearby. 24hrs minimart just outside the hotel. No outside noise in room at night hours which is a plus point considering the proximity to nearby pubs. Nice room with swimming pool view however there is no television and tea kettle in superior rooms. Cleaning service is good. Has only American breakfast and limited to one item per person which is ok considering the price. Great stay, helpful staff and huge nice rooms with the comfiest bed. The breakfast provided every morning was good as well. Pool was great and the restaurant across the street had really good cheap meals and beer. I plan on coming back to stay here. Was in transit 1 night, I also have stayed 2 yrs ago during construction. Convenient location, close to night action but not so noisy. Fan rooms A$ 17, is the best budget room in all my travels around Bali & Lombok. Great pool and very clean, comfortable bed, clean sheets,I highly recommend it. I departed before bfast so cannot comment, but still good value accommodation.